European markets increased by 3.2% compared to 2017, marking the sixth consecutive year of growth. Almost 2.5 million commercial vehicles were registered across the European Union, representing the highest volume on record since 2007. Demand declined in Italy (-4.1%) and the UK (-1.9%), but the Spanish (+6.5%), French (+4.9%) and German (+4.6%) markets performed very well in 2018. Ireland recorded a reduction of 5.3% during the course of the year. 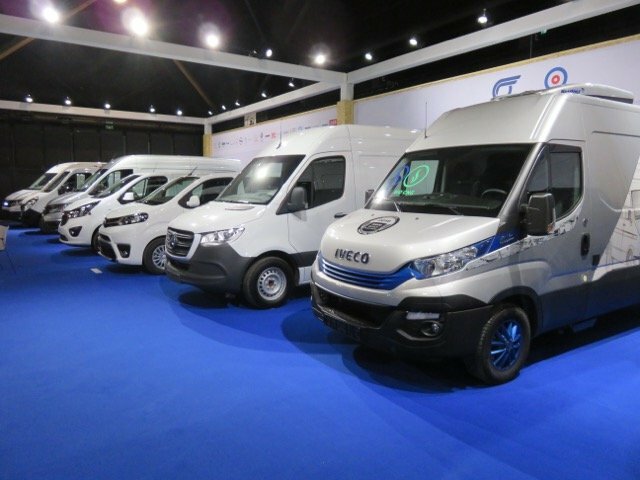 In 2018, new van registrations surpassed the two-million mark for the first time since 2007, recording a 3.1% increase compared to 2017. Spain (+7.8%), Germany (+5.4%) and France (+4.6%) posted growth, while demand for light commercial vehicles contracted both in the United Kingdom (-1.3%) and Italy (-6.0%). A 5.5% increase was achieved in the Irish market in this category. 2018 was a positive year for heavy truck registrations. Overall 305,811 new vehicles were registered across the EU during the year, or 3.1% more than in 2017. The United Kingdom (-5.4%) and Spain (-4.2%) saw demand for heavy trucks decline last year, but France (+9.1%), Italy (+5.0%) and Germany (+3.1%) contributed positively to full-year EU growth. Overall in 2018, 41,992 buses and coaches were registered across the EU, up 1.3% compared to the year before. Growth was largely driven by the Central European markets (+18.6%), giving full-year EU results a crucial boost. On the other hand, all major Western European markets contracted in 2018 − with the exception of Italy, which recorded strong growth (+36.7%).